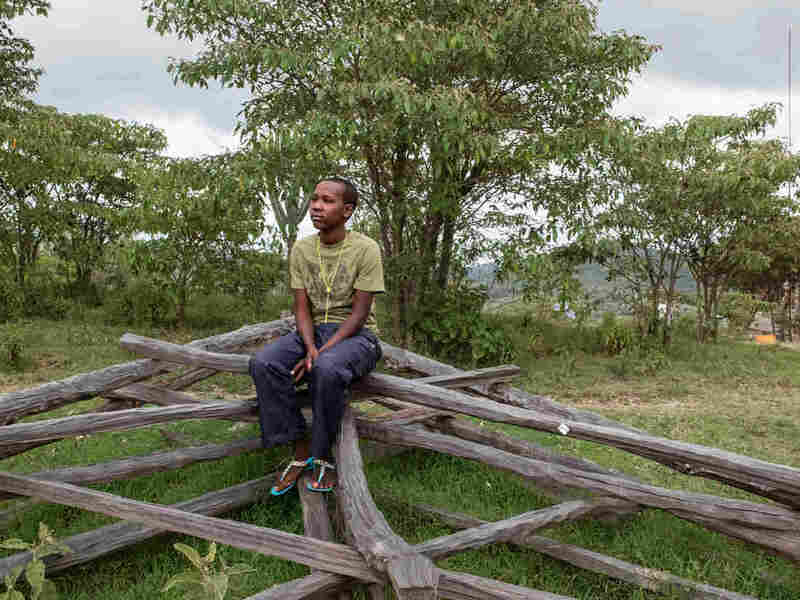 Child Brides Learn To Take Portraits Of Each Other — And Gain Insights Into Their Lives : Goats and Soda Stephanie Sinclair has been taking photos of child brides for nearly 15 years. 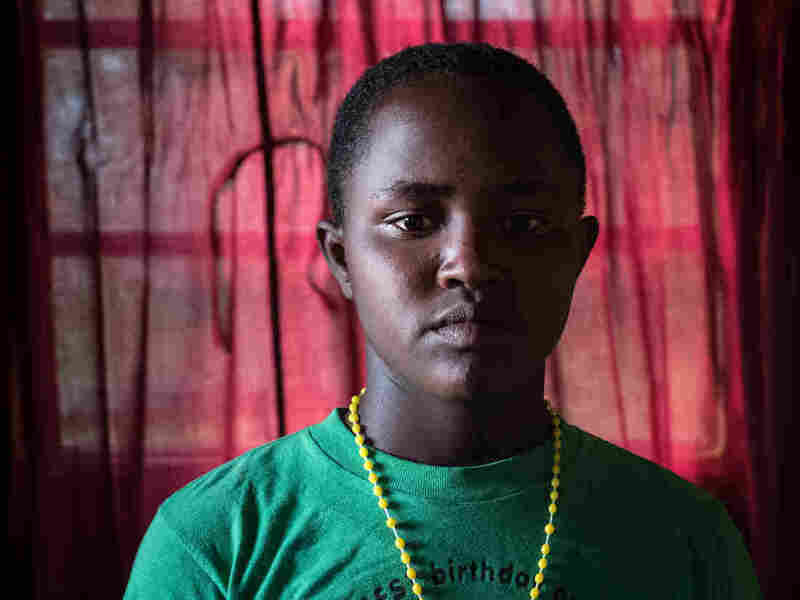 Now, she's teaching girls rescued from early marriage how to photograph each other. For 15 years, Stephanie Sinclair has taken photos of child brides around the world — from Tahani in Yemen, married at age 6, to 14-year-old Niruta in Nepal, and many more. In 2012, she started the nonprofit Too Young To Wed to raise awareness of their plight. Now she's given some young women a chance to take their own pictures — a kind of art therapy that she hopes will "help girls deal with their trauma." In January, Sinclair and her team decided to turn the cameras over to a group of 10 girls in Kenya. 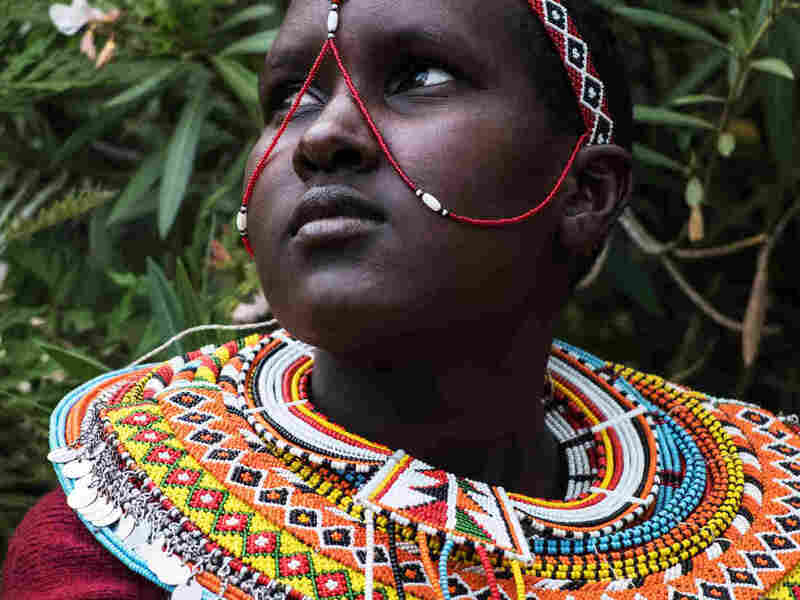 They partnered with the Samburu Girls Foundation, which rescues girls from child marriage and female genital mutilation, to organize a weeklong photography workshop. Most of the 11- to 14-year-olds who participated had never held a camera before. Sinclair and three volunteer photographers taught the girls basic digital photography skills so they could take portraits of each other. They also provided leadership training to help the girls "harness their inner strength and raise their voices confidently," says Sinclair. "Today I learned a girl can do anything," says Eunice, a 14-year-old participant. "I learned how to take someone's photo by using the light from the window. I learned I am creative and can learn fast." We spoke to Sinclair about the workshop and its impact on the girls. The interview has been edited for length and clarity. What's the hardest thing about taking a portrait? [You need] to get them to be real in front of the camera. It's not just about composition and light, it's about the soul. If you can see it, if you can capture that and share it. That seems like a tall order for first-time photographers. You can't take a great portrait unless you know the person you are photographing. So we would pair the girls up in teams, and they would learn about each other, what they've been through. We told them they didn't have to share the traumatic parts of their background. But all of them chose to share their experience with child marriage and FGM. Within the first hour that they had the cameras, they created these really beautiful, vulnerable portraits. I think they just got it. They understood the power of their story and of their voice. Can you tell us about a portrait that stuck with you? One girl, Modestar, took a photograph of Maria. It's a tight portrait and she's kind of looking to the side. 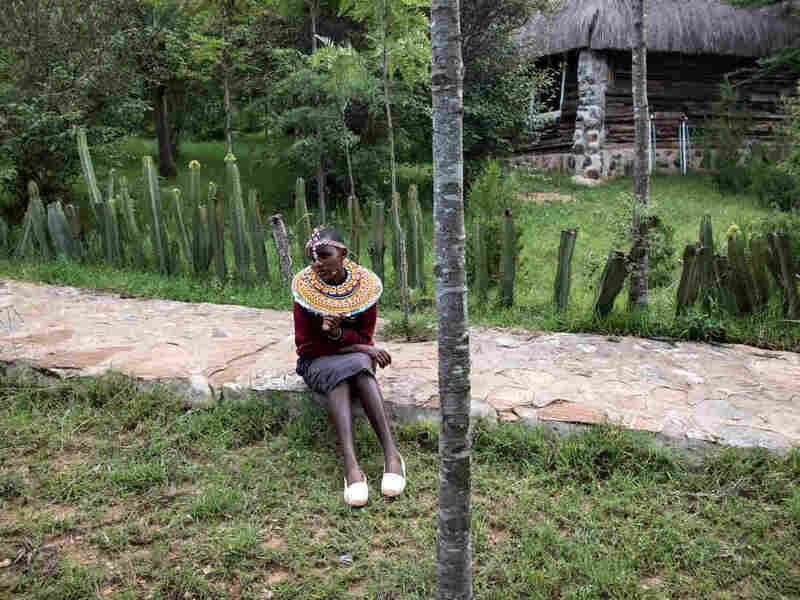 She's got these beautiful [traditional Samburu] beads on. Just 15 minutes before she took that picture, Modestar was crying. Maria was sharing her story for the first time in detail. Modestar had been rescued [from child marriage] just a few weeks before, so she was still very raw about the experience. What do you think the girls got out of the workshop? The workshop ended up being a form of art therapy, a way to help the girls feel confident that their voice matters. We didn't realize the amount of tears that would be shed during the workshop, and cathartic moments that would happen as they took these intimate portraits of each other. What did you end up doing with the photos? We had an exhibition at the end of the workshop. We brought 70 members of the community, police, some of the chiefs of the villages, some of their parents. We let the girls pick which pictures they wanted to share. Of course the girls had some goofy pictures that they did of each other and more uplifting pictures. But none of them chose to use those pictures for the exhibition. They felt strongly that the exhibit should be an opportunity to let people know that they were not okay with what had happened to them. I remember there was a really pretty picture of Modestar and she was smiling. She said, "No I don't want to use that one." A more serious, contemplative picture. "I want people to know what I've been through, that this is how I feel," she said. How did you think the workshop changed the girls? At the beginning of the workshop, when you asked them their name, they were very quiet. At the exhibition, we had a microphone. I [told them], make sure you speak up — the event was outdoors and I was worried that the audience wouldn't be able to hear them that well. They really roared into that microphone! 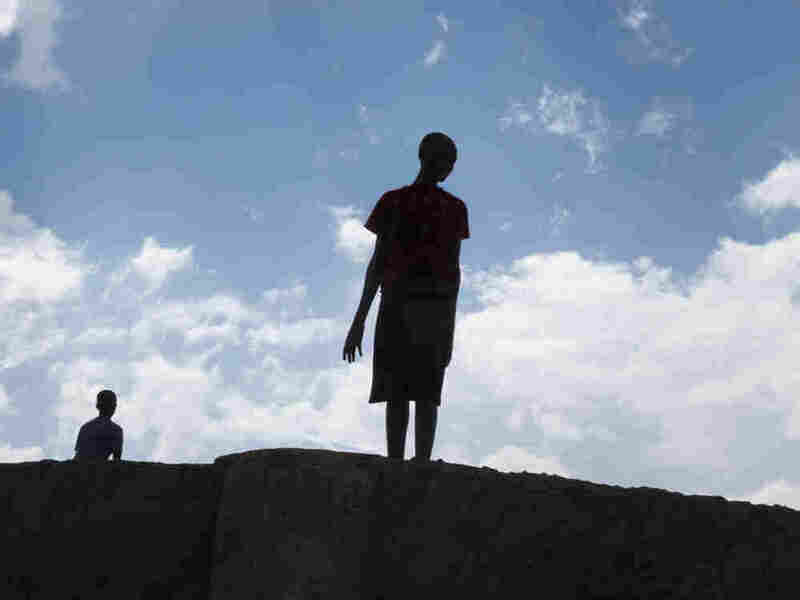 They were passionately expressing what they had been through and asking the community to protect girls. We hope to do a couple a year. This was our pilot program and it exceeded our expectations. The idea of using photography to help child marriage survivors harness their inner strength and raise their voices confidently — it blossomed into this beautiful flower in the end.